Alphonso Lascano and Bjorn Farrugia are thrilled to present 3587 Multiview Drive. 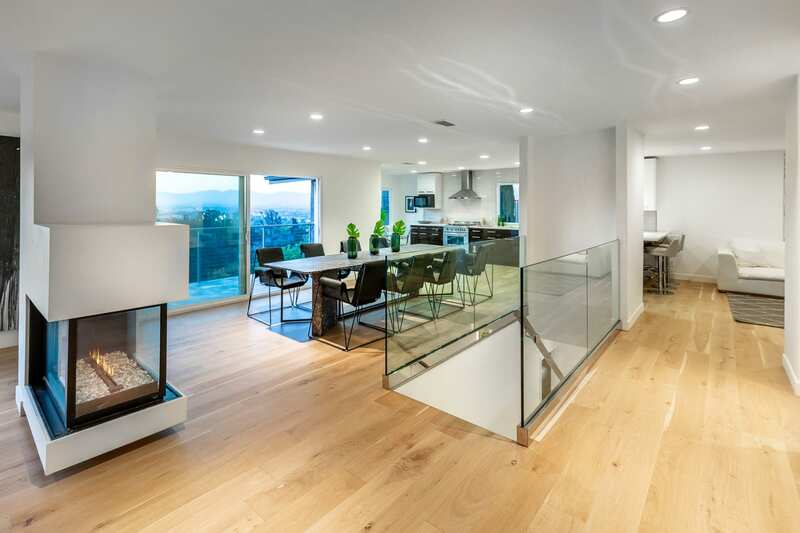 This sleek, private compound nestled in the Hollywood Hills is the ultimate modern view home. Thoroughly renovated in 2017, the architectural gem was designed around the art of entertaining. 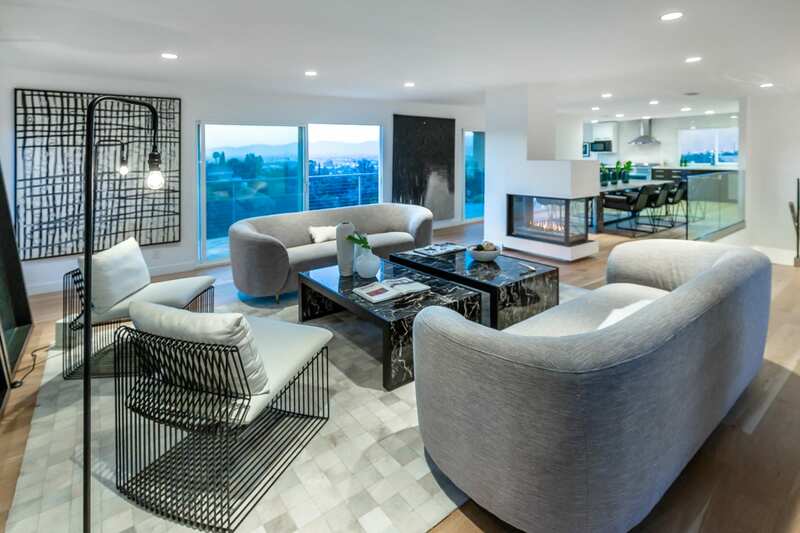 With mesmerizing views from every room, this four-bed, four-bath gated oasis is adorned in high-end designer touches and an abundance of natural light. Set on three levels, the residence features an open floor plan with decks on each level. The first floor consists of an oversized living room with large glass sliders that showcase the cityscape and lead onto a stunning terrace. 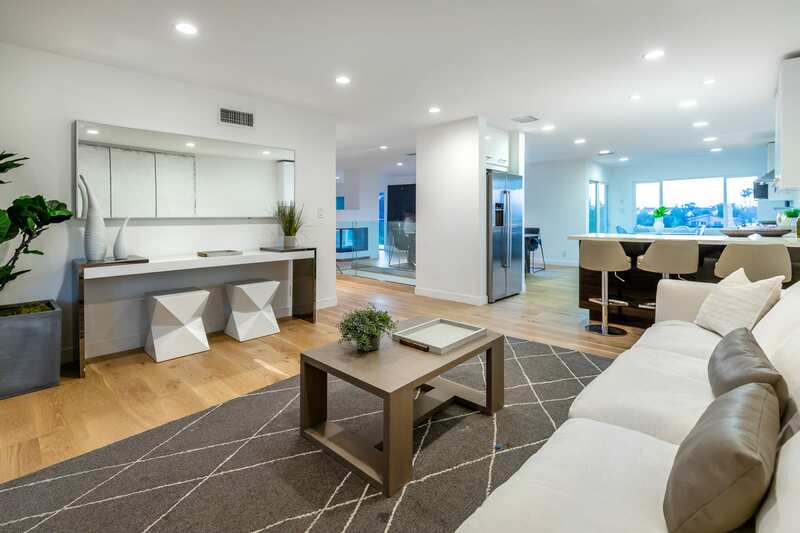 A floating dual fireplace leads to the dining room which opens to a large streamlined kitchen with stainless steel appliances and white quartz tops. A family room and large office/bedroom complete the first level. The second level houses all the bedrooms. The romantic master suite boasts vast glass walls that accentuate the views beyond, a walk-in closet and inviting master bath that rivals a five-star resort. The third level the ultimate lounge that spills out to a massive 1,300-square-foot deck ready to host an event of any scale. 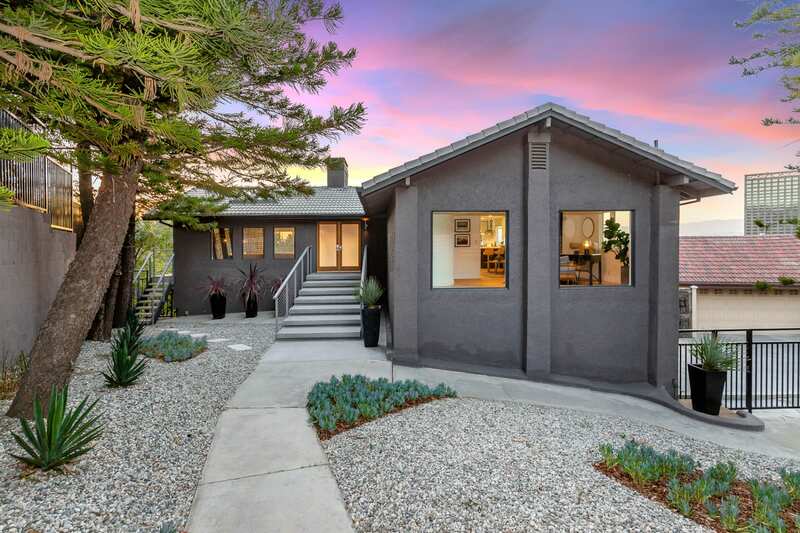 For more on this modern dream home, please CLICK HERE.